English teachers can be awesome. My favourite teacher while in high school was my English teacher. They are usually so chill and laid back. But this Twitter user’s English teacher definitely won the award for best teacher of the year. Jake struggles with what most people struggle to do; asking someone out. Come on; it can be terrifying and stressful. Most of us get nervous and struggle to find the right words to say to our crushes. But thankfully, Jake had his English teacher to help him out. It’s okay; I’m bad at texting too. He actually used the Ethos, Logos, Pathos method! 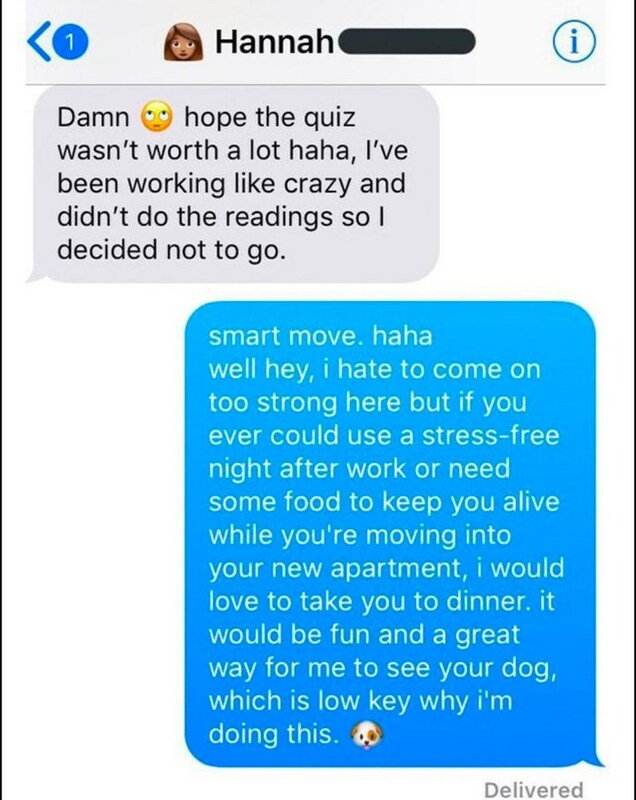 They were talking about a quiz when he made his move. And guess what? SHE SAID YES! Have you ever asked out someone before? Let us know in the comments below!